You can easily view and share an event as a webpage. View an event as a webpage easily. 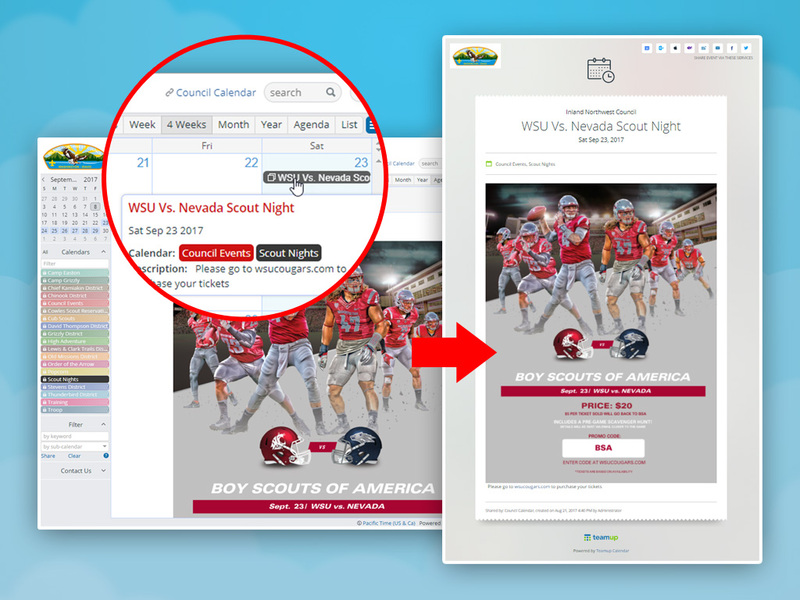 To view or share an event as a webpage, simply click on the event to open the event editor. Then click on Share, and choose “As Page” from the list of Sharing options. The event will open up as a webpage. To share it, simply copy the URL and share as you wish. Click here to see the webpage of the event pictured above. Read more about viewing or sharing an event as a webpage.